It can be a real challenge keeping balanced and on track when someone you love is going through a painful time and you become the caregiver. 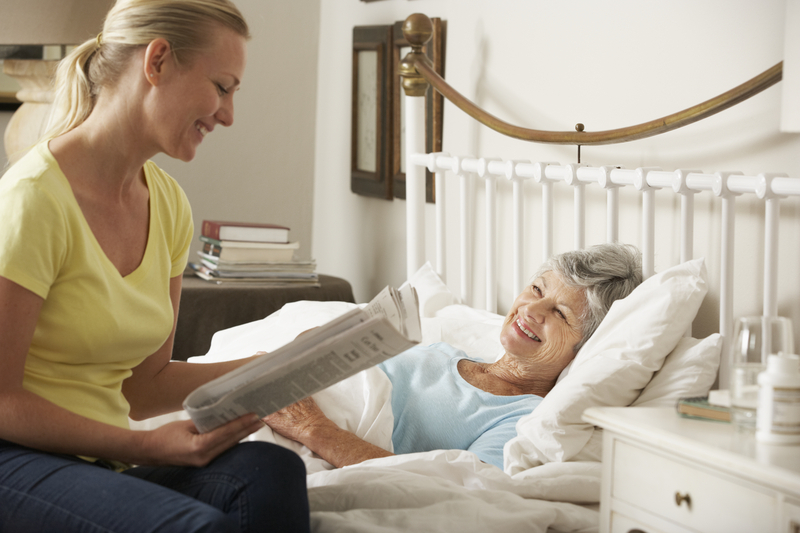 It is a challenge for both the person in need of care and the caregiver. Therapeutic grade essential oils can be very helpful in a variety of ways. This is what my husband Mark and I have been going through lately. I have had to step into the role of caregiver. It’s not the norm for us at all. Mark usually does 90% of the cooking and 50% of the cleaning. He loves to cook and just don’t. 😉 I run 90% of our home business, he runs most of the household duties. Well, things have changed a bit over the past year but dramatically in the past couple of months. Mark has 3 bulging disks pressing on the nerve in his spine. It is VERY painful. Lately it is so bad he has been bedridden most days. He can get up for a few minutes but can’t take sitting or standing for very long. He has an appointment with a neurosurgeon next week. Hopefully some help soon. I thought I would share a bit of all of this with you because you may have need of this information now or sometime in the future. Lots of things can happen to put someone in need of care, even young people. It is a blessing that I am able to be working from home with Young Living Essential Oils. It allows me to take care of Mark but also have all kinds of oils and supplements that are helping support both of us through this stressful time. Some days I need a little Clarity oil to get focused on things I need to to. I am running back and forth from my office to our bedroom to check on Mark and care for his needs, plus cooking, cleaning and doing laundry. Shifting back into a business mindset after being in caregiver mode can be a challenge. I used Young Living Clarity oil to get my mind focused on writing this article today. I love Clarity oil blend on normal days but really thankful I have it during this time. Stress Away is an essential oil blend that is wonderful during times when things are going on. I find myself getting hyper when I have things to do and the interruptions keep coming. Just put some Stress Away on your hands and inhale deeply. Lately I find myself using a LOT of Young Living Joy essential oil blend. Things have really changed for us. It makes me kind of sad when I see Mark suffering. Well, that’s an understatement. He can’t do the things he loves to do. He also feels discouraged about that. Joy is an oil that can help emotional support for both the one cared for and caregiver. Sacred Mountain is another oil I find myself drawn to lately. When I use it I feel strong like a tree. Sacred Mountain is a blend of Ylang Ylang and conifer oils that promotes feelings of strength, empowerment, grounding, and protection when diffused. I diffuse it but I also wear it like a perfume. I love the smell. Valor or Valor II – Use on the bottom of your feet to feel more balanced and confident as you go through the process of helping your loved one through this difficult time. Harmony – Use on each of the energy center points of your body. There are seven of them along the body: tail bone/root, naval, solar plexus, heart, throat, third eye, and crown (top of head). Helps with balance. Sleep can be an issue when a person is caring for someone with a health issue. Sleeping next to Mark, I can hear the painful outcries in the night. It is really difficult to sleep knowing your loved one is suffering. The problem is, you need your sleep so you can have the energy to take care of them. 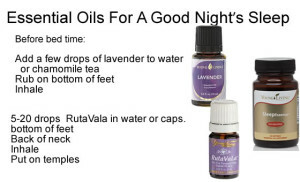 Lavender and Cedarwood are my favorites for relaxing before bed time. Other options are Roman Chamomile, Stress Away, Valerian, Tangerine, RutaVala and Peace & Calming. 1. Pour Epsom Salts into the jar and drop essential oil on top of the salts. 2. Seal and Shake to blend well. 3. Add 1/2 to one cup of the salt mixture and add under warm running water. 3. Soak for 20-30 minutes. 3. Drink plenty of water after enjoying your relaxing soak. 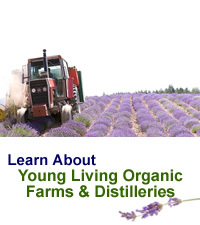 In the spray bottle, combine the witch hazel or vodka and the lavender essential oil. Place the top on tightly and shake well for 15-20 seconds to combine the oil and witch hazel or vodka. Then take the top off and add water so the the essential oil distributes into the water. Replace the top and shake well again. Spray a bit on your hand to test the smell. If you want the scent stronger, add a few more drops of essential oil. Shake well and spray on linens or other fabrics as desired. Melt Shea Butter and Coconut oil together. Then add almond oil. Cool until almost hardened. Whip with mixer while adding essential oils. Continue mixing until completely mixed. About 5 minutes. When caring for someone, you sometimes can find that you have worked a little too hard and need a little soothing for those tired muscles. Mix in 10 ml roller bottle fill to top with coconut oil. Rub oil blend neat on location. Mix with V-6 Mixing Oil or or Base Recipe below. Rub oil blend neat on location. Mix with V-6 Mixing Oil or Base Recipe below. Place coconut oil, extra-virgin olive oil and beeswax and shea butter in small glass jar. Place jar into pan and fill with approximately 2-inches of water. Heat over medium-heat, stirring mixture in jar until everything is melted. Remove pan from heat. Using a clean kitchen towel or wash cloth, carefully remove jar from pan and place on cutting board to cool. While cooling stir with knife to make sure contents stay well mixed. It’s that time of year again. The kids are heading off to school. With that comes more exposure to whatever will be going around this season. That is one reason I always have Thieves essential oil blend with me as well as all the Thieves products. Thieves Oil Blend was created from research about four thieves during the 15th-century covered themselves with cloves, rosemary, and other aromatics while robbing the dead and dying. Thieves is one oil that is wonderful for diffusing. NingXia Red is a powerful antioxidant drink that contains whole Ningxia wolfberry puree and a super blend of blueberry, aronia, cherry, pomegranate, and plum juices, natural stevia extract, grape seed extract, pure vanilla extract, and orange, yuzu, lemon, and tangerine essential oils. Its health benefits include support from head to toe, via a whole body nutrient infusion. There is often anxiety on returning to school at the beginning of a new year. There are always many changes: New teachers, new classes, peer pressure, worries about fitting in, bullies, studying for tests, and the list goes on. The next three oils may be helpful to ease the stress of going back to school. Stress Away Roll-On – This unique blend of vanilla, lime, copaiba, and other pure essential oils relieves daily stress, encourages relaxation, and reduces nervous tension. This oil can be used in the morning before heading off to school or after school to unwind from a stressful day. Apply generously to wrists, temples, neck, or any desired area as needed. Peace & Calming is a gentle, fragrant blend specially designed for diffusing. It promotes relaxation and a deep sense of peace, helping to calm tensions and uplift spirits. When massaged on the bottoms of the feet, it can be a wonderful prelude to a peaceful night’s rest. This is important for kids in school. Brain Power is especially designed essential oil blend rich in sesquiterpenes. Use it to clarify thought and support concentration. Apply over the back of the neck, on the temples, on the soles of the feet, and under the tongue. Valor helps balance electrical energies within the body, giving you courage, confidence, and self-esteem. It has also been found to help the body self-correct its balance and alignment. How to use: Apply on bottoms of feet and to throat, wrists, chest, and the base of the neck. When using a series of oils, such as in Raindrop Technique, apply Valor first and let it work for five to ten minutes before applying other oils. Clarity promotes a clear mind and alertness. The rosemary and peppermint found in this blend have been used for years for mental activity and vitality. Dr. William N. Dember of the University of Cincinnati discovered in a research study that inhaling peppermint oil increased the mental accuracy of the students he tested by 28 percent. Cedarwood – contains the highest level of sesquiterpines. When inhaled, sesquiterpines have the ability to cross the blood-brain barrier, after which they can provide more oxygen to the brain! Place Cedarwood on your thumb and the roof of your mouth to release blocks to learning! 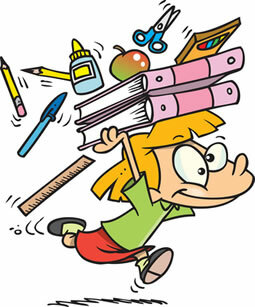 Peppermint – Diffuse Peppermint oil in the room while studying to improve concentration and accuracy. Inhale Peppermint oil while taking a test to improve recall. Joy – This oil is very mood uplifting. If the children are feeling bummed out because the summer is over and they have to get back into the grind of the school schedule, Joy oil may be helpful in lifting their spirits. Motivation may enable a person to surmount fear and procrastination and stimulate feelings of moving forward to accomplish new things. This is always a good one when starting a new school year or any other project. 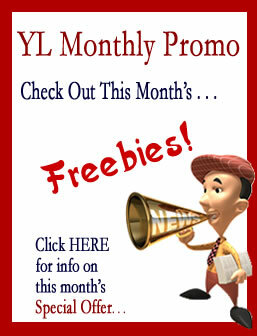 Click HERE for more on Young Living Products. The negative effects of sleep deprivation are quickly becoming an alarming issue. According to a recent poll, 58 percent of adults in the US experience symptoms of insomnia several nights a week. Getting a good night’s sleep is important for mental health and normal functioning, but it’s pertinent for maintaining a healthy lifestyle. Single essential oils such as valerian, spikenard, and lavender are known for their ability to relax, calm, and emotionally ground a person. RutaVaLa, Peace & Calming and Gentle Baby are soothing essential oil blends that have similar effects. These oils can be diffused, inhaled, massaged into the feet prior to retiring to help ease tension and settle the mind. Consume less or no caffeine, particularly late in the day. Avoid alcohol and nicotine, especially close to bedtime. Exercise, but not within three hours of going to bed. Avoid naps, especially in the late afternoon or evening. Establish a regular sleep schedule; dont try to make up for lost sleep. Take a warm bath using a few drops of lavender in the water to soothe away stress and tension before retiring at night. Rub a drop of essential oil such as lavender on your palm and smooth over pillow to aid with sleep. Apply Peace & Calming or another soothing oil to the feet before bedtime to promote relaxation. Young Living’s SleepEssence contains four relaxing essential oils in a softgel vegetarian capsule for easy ingestion. Combining lavender, vetiver, valerian, and Ruta graveolens essential oils with the hormone melatonin.